One summer, I went to the Chicago Bears’ training camp in Platteville, Wisconsin, a quaint small town that for a few weeks every summer was literally overrun by orange and blue and the entire machinery of an NFL organization. We camped at a local campground and, from time to time, made treks into town to see the practices and get autographs. One night, we found ourselves hanging out on in a place on Main Street, feeling we were best buds with the squad of hulking professional athletes who also happened to be in the bar – letting us buy them drinks, mind you. It’s an odd thing, these mobs of fans who gather around spring training for their favorite baseball team (or is it just a good excuse for Midwesterners to travel to Florida?) or flock to little towns in the late summer to watch their favorite football team practice. That’s what they’re doing, after all: they’re practicing. Occassionally, they have scrimmages and occasionally there’s something to watch, but the point is, well, practice. Lent is Christianity’s spring training, our tradition’s practice field. There’s nothing wrong – and everything right – with being intentional and serious about practicing. The introduction to a holy Lent, found in the Book of Common Prayer’s Ash Wednesday liturgy (pages 264 & 265), summarizes it quite well: “Dear People of God…” the Celebrant or Minister says, telling the story about why we do Lent, why we do what we do on Ash Wednesday, in particular, and for what we are preparing. Learning to more intentionally practice the Christian faith is an important discipline and accords with everything early Christianity held dear. The early Christians had no problem with and, in fact, thrived because they were considered outcasts and oddities, they were counter-cultural and perfectly fine with that. That afforded them the opportunity to withdraw and gather together as a new and distinct society. That afforded them the opportunity to develop their own spiritual and evangelistic muscles. And yet everything shifted when Christianity was no longer persecuted but made legal (Constantine, 325 CE) and then, a few decades later, the official religion of the Roman empire (Theodosius, 380CE). Everything changed further around the 8th century with Charlemagne and the unique coupling of the eventual establishment of the Holy Roman Empire and the Carolingian Renaissance which swept across Europe, firmly planting the ideal of Christendom in the western world’s consciousness, a chain of events which leads up to our contemporary moment. Sadly, we can place the theological revisions to Lent and Ash Wednesday alongside these cultural, largely political changes. 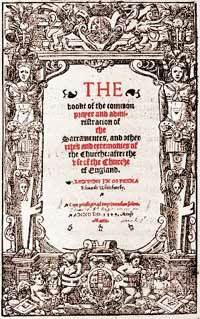 As Christianity became legal, then official, then the very definition of the status quo, so too did Lent become less counter-cultural, less inward and more about maintaining good order and a Christianized society; likewise, so too did Ash Wednesday become less and less about authentic, heartfelt repentance and more and more about community norms and practices. 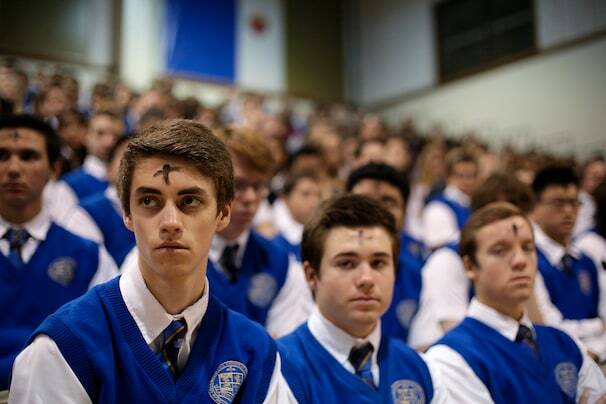 It’s ironic that behind the movement to make Lent and, in particular, Ash Wednesday so much more public, so much more accessible, so much more a sign of what we can bring to this world there’s an implicit vaulting, once again, of the ideals and norms of Christendom. When some among us realized they weren’t coming to us any longer, at least not so much on this inaugural fast, we went out to find them and bring them back. Further, we brought a veritable symbol of the establishment, carrying out into the public square the very Christendom so many of them had long ago left, some quite intentionally so. “You know where you were supposed to be today!” I’m afraid Ashes to Go implicitly insists, like a liturgical father berating his flock. Sure, some respond positively; some are no doubt appreciative. But many were just too busy to come to church in the first place and most probably didn’t make the connection between the obvious smudge of inescapable death and the real gift of new and life in Christ. The creativity [and as I’ve written elsewhere I do think Ashes to Go is creative] of this movement is a good spark for a day or two, but making disciples and empowering the body of Christ isn’t done in a flash. Making disciples is done in the quieter, less visible work of practice. There’s nothing wrong with withdrawing, at least for a six week season of intentional spring training and spiritual preparation. In this world in which we think we need to be ‘on’ all the time, 24/7; in this culture in which we, the current incumbents of the institutional Christian church, feel like it’s our fault that average Sunday attendance isn’t what it was, say, in 1957, it’s okay for at least a few weeks to quiet the anxiety and set aside the marketplace and deal, first and foremost, with ourselves, our own struggles and blessings, our own failures as well as our gifts. Sometimes withdrawing for a season to train and practice, to develop new language and more subtle and no less revolutionary skills is much more important than spinning our wheels and expending more energy. The circus of this world and the draw of others will be there, sure enough, and there’s nothing wrong – and everything right – with the quiet, less visible, diligent, demanding, interior work of practice.